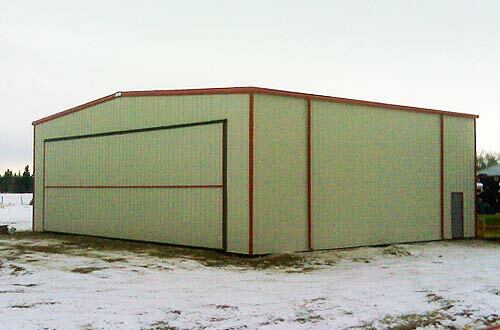 130 x 65 with two bifold doors. 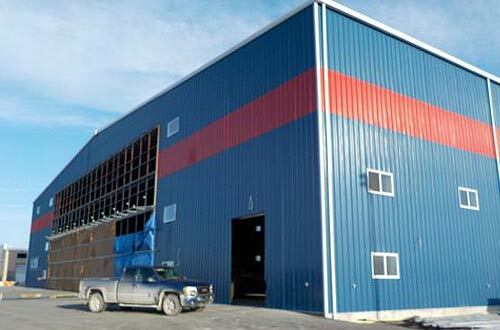 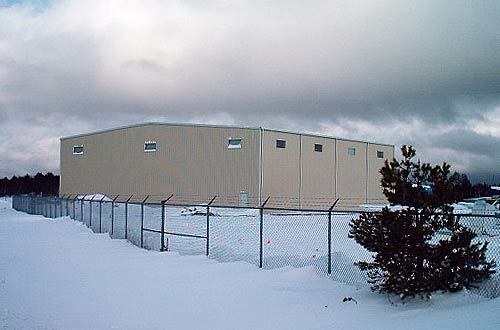 First Air Hangar in Rankin Inlet. 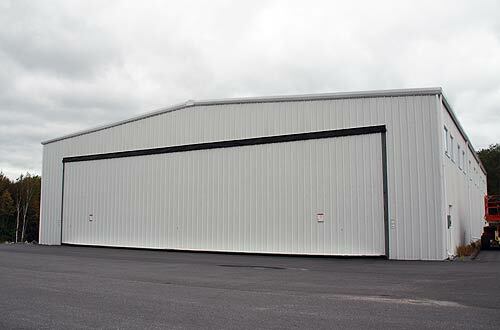 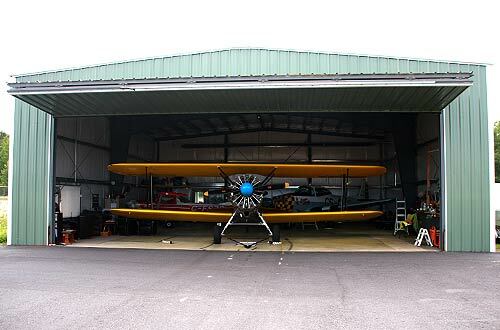 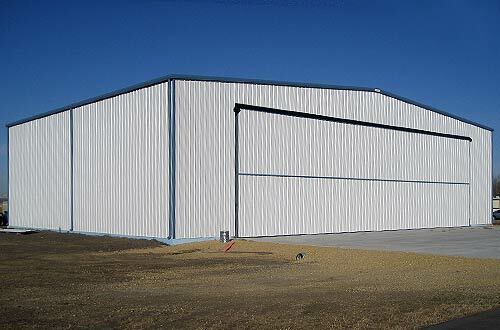 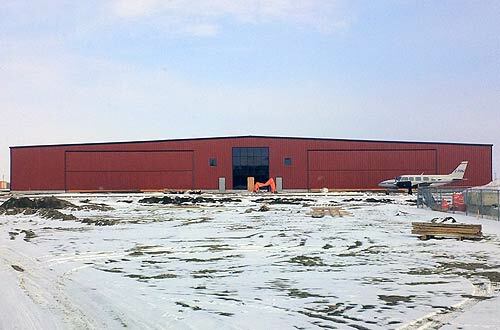 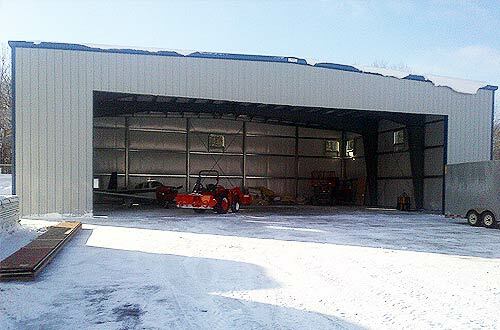 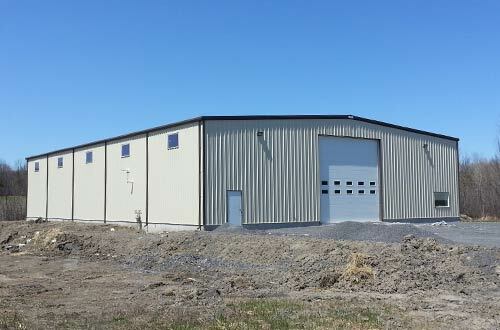 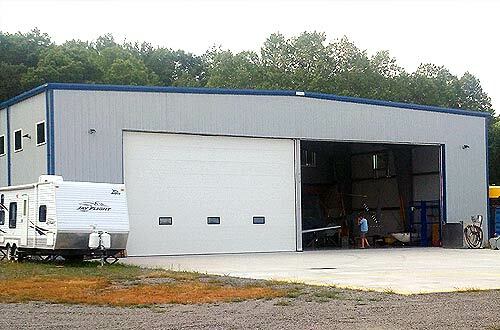 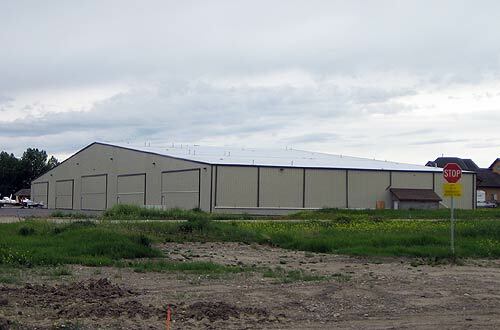 A 200' x 125' x 40' hangar with a 100' x 30' bi-fold door. 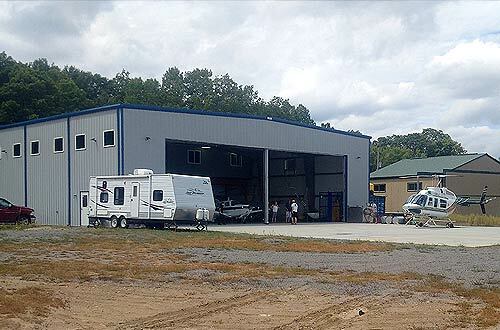 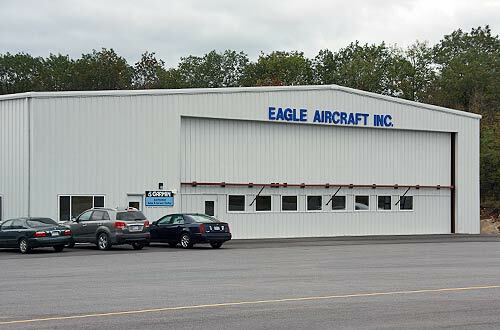 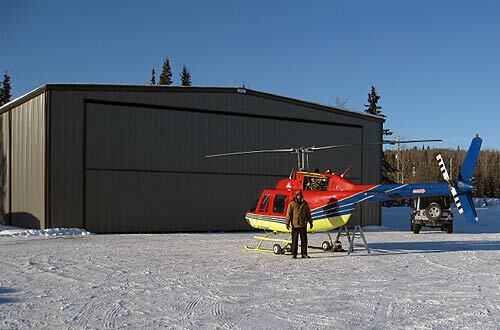 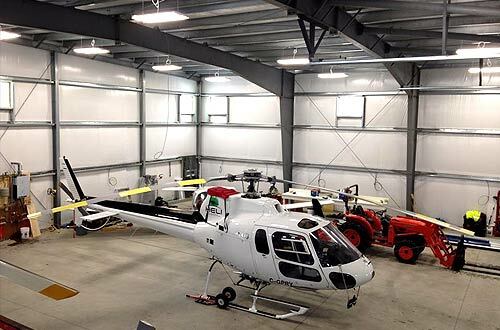 The Eagle Air hangar moved to Parry Sound, On. 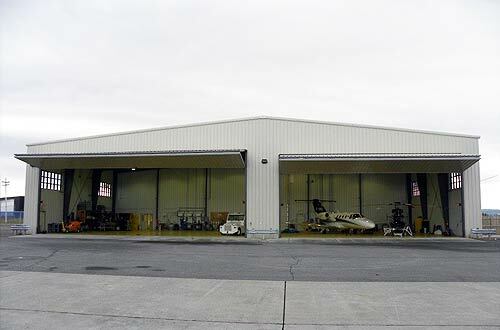 Hangar with two storey office on the side.